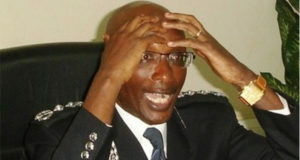 The current financial crisis faced by the Uganda Police Force reared its ugly head on Tuesday after contracted companies and individuals announced that they are withdrawing food supply to the Force with immediate effect over non-payment. During a meeting held at Speke Hotel, Kampala, the 596 suppliers said they are demanding Shs33 billion in unpaid dues dating from as far back as 2015. Mr Badru Kisitu, the chairperson of the Police Suppliers Association, said many of them used bank loans to buy the food supplied to the Force and that banks have since begun attaching some of their property. “We have supplied beans, rice and posho for all these years and none of us has received money for the supplies made. Where does the police expect us to get money to run our business?” said Mr Kisitu. The suppliers also said the police leadership has not given priority and instead budgets for crime preventers. “Why is it only us who are not being paid. Why does he pay the crime preventers and neglect us?” Mr Kisitu said. Some suppliers said they have they have threatened with arrest each time they demand their money. “My business is collapsing and yet when I go to police, they instead tell me to go to court,” said one of the suppliers, who said the Force owes him Shs400 million for the supplying them food in 2016. Mr Arvind Patel, the Board Director of the Uganda National Chamber of Commerce and Industry, said they have raised the issue of nonpayment of suppliers to the police several times but nothing has been done. “I have not interests in this thing. I am not a supplier, but I am only helping these people to access the money they have supplied goods for. I will personally lead you people to meet the Speaker of Parliament to ensure that you get your money,” he said. Police spokesperson Emilian Kayima and her deputy, Polly Namaye, were not available for a comment. At the opening of the police council in Kigo, Wakiso District, on Monday, Inspector General of Police Kale Kayihura said the Force is choking on a Shs125b debt accruing from electricity, water, food supply and fuel supplies.